Be it domestic sports partners, international travel partners, or local business partners - the power of the MVP team is in direct proportion to the relationships with those that support it. See our partners below. While separate organizations, the MVP Terps baseball, MVP baseball school, and MVP International share a similar origin in coach Mark 'Pudge' Gjormand. The MVP Terps and MVP baseball school primarily serve the Reston, Herndon, Great Falls, and Vienna community. The MVP baseball facility is home to hundreds of baseball and softball players looking for year round indoor training. Based out of Aldie, VA the SPI Soccer team is led by Andy Vera. Andy and the SPI team bring a focus of connecting US and International soccer. SPI ranges from bringing premier European coaches to the US to train or bringing American players to Europe to compete and gain exposure on the international scene. SPI partners with several elite European soccer programs and professional organizations. Coach Simon Roberts brings decades of international hockey experience to the MVP International hockey program. As Director of Ice Hockey, coach Roberts has brought international Ice Hockey opportunities to the DMV community. With a background in strength training and performance, coach Roberts also works with the Washington Capitals off season strength training and development. Based out of Alexandria, VA, Primetime baseball provides year-round training in their indoor facility as well as opportunities to play travel baseball. 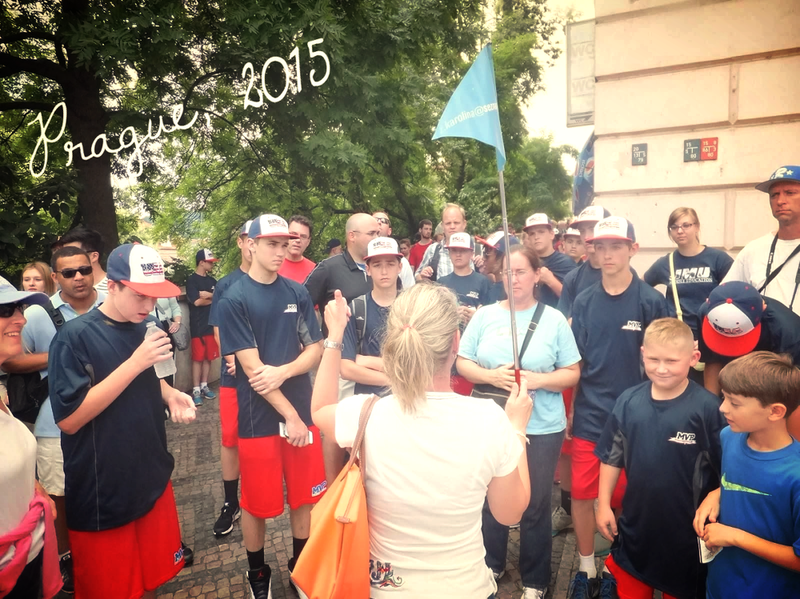 With a passion for both baseball and travel, coach Skaggs has brought multiple international opportunities to baseball players in Arlington, McLean, Alexandria, and Falls Church. Karolina Zadrazilova is a certified tour guide, tour director, and travel agent based in Prague, Czech Republic. While she has her home in one of the most prestigious cities in Central Europe, she is not unfamiliar with almost any other European country. Speaking over 6 languages and with 20+ years in the tourism industry her experience is plentiful, knowledge is deep, and her relationships are unparalleled. Vienna Sports which is based out of Vienna, VA is led by Tom Ferrick. Vienna Sports services many local sports teams in Vienna, Reston, Great Falls, McLean, Arlington, and Loudoun County. With fast response time and quick turn arounds, they make sure you get what you want on time! Cambridge Global Payments ensures secure and on time payments to various vendors around the world. By offering an easy interface and an on-time payment guarantee, they have become the centerpiece for mitigating financial risk with foreign exchange exposure. One of the most legendary and iconic youth basketball coaches in the country, Stu Vetter. Stu runs a basketball camp for elite basketball players to develop on the next level. Stu brings decades of experience working with countless Division I and NBA stars! To learn more visit Coach Vetter's website. CEBF develops and implements youth-focused programs and activities that foster goodwill, promote people-to-people contact, and enhance mutual understanding and cultural education among the U.S., Cuba and other Caribbean neighbors and in the communities in which they serve. We'd love to get in touch and see how we can work together! Please feel free to reach out. Dream Sports Africa was founded by Diaspora Africans and Americans with a passion to give back the gift of actualization to young people whose shoes they were in not too long ago. Our initial programming focuses on Nigeria which accounts for about 20% of the African youth population and the West Africa region.